It was just an average day for two small boys who were playing outside in their home country of Romania. 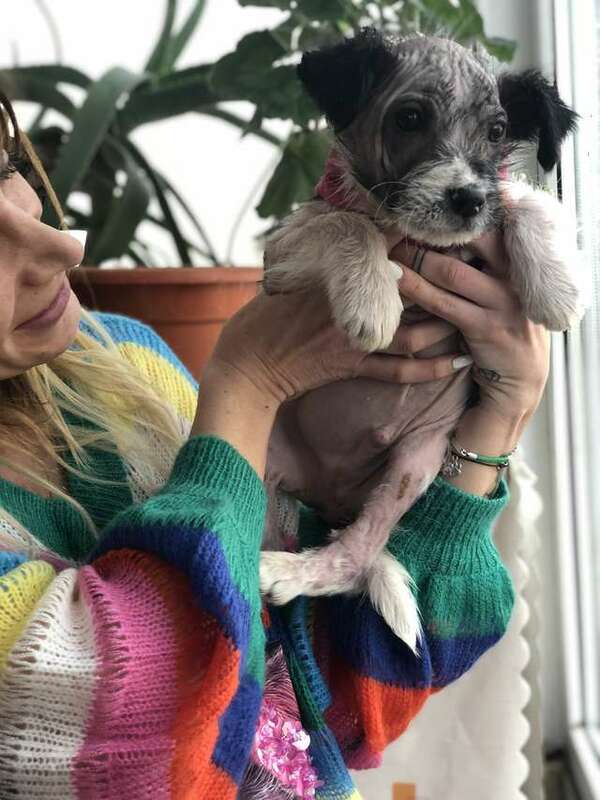 However, everything changed for them both when they saw something unusual: a small puppy that was missing most of its fur. It was obvious to the pair of boys that the puppy was sick and needed their help. 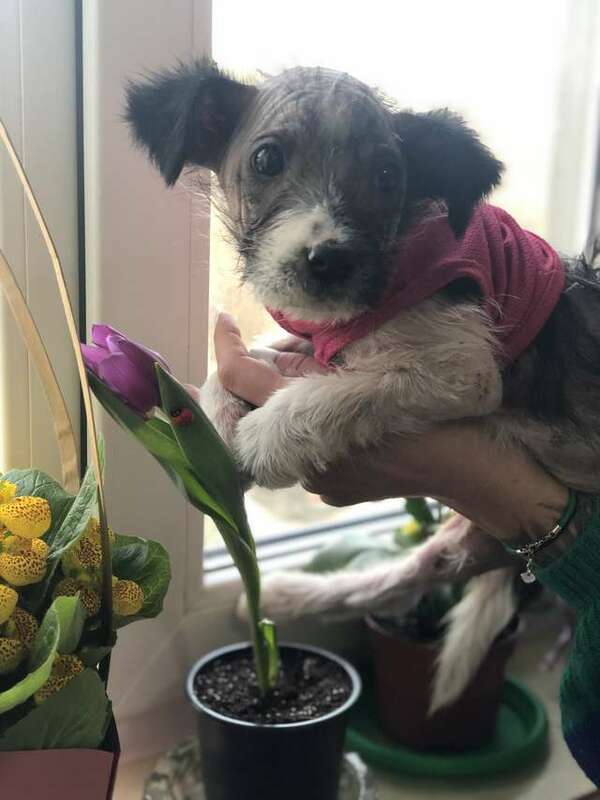 While most children may not know how they could help a sick little puppy, one of the boys jumped into action and knew just what to do to offer his help. The one boy, named Alex, told his friend that he knew someone who could help the puppy. So, he picked up the tiny, hairless puppy and carried him to a neighbor in his village. He knew the neighbor, a woman named Aura, helps to take care of all the dogs in the village in need of help and rehabilitation. It was to important to little Alex that the puppy, who was later given the name Felix, was safe. So much so, he wouldn’t go back outside to play until the neighbor assured him everything was going to be okay. The rescue group Barking Mad Dog Rescue, who helps dogs in the area, said they are thrilled that even children understand the importance of helping animals in distress. 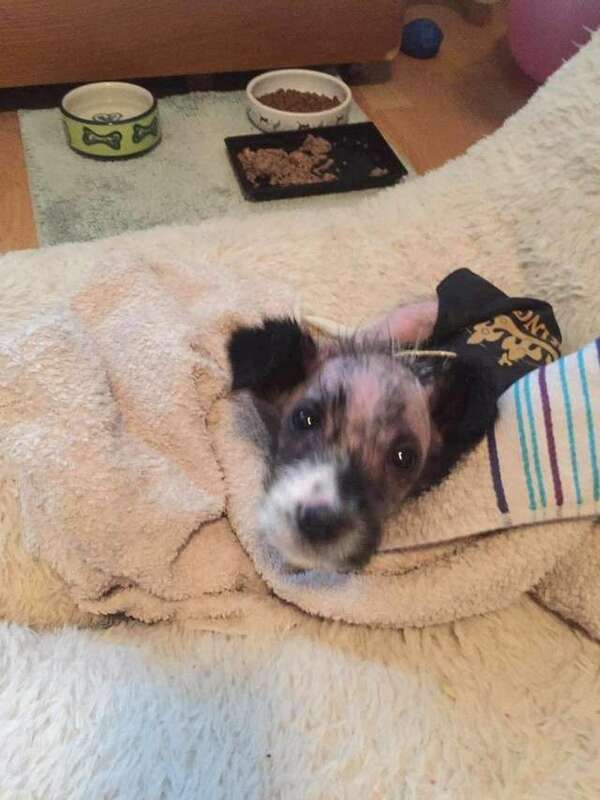 Poor little Felix was in rough shape when he arrived in the care of the rescue group. 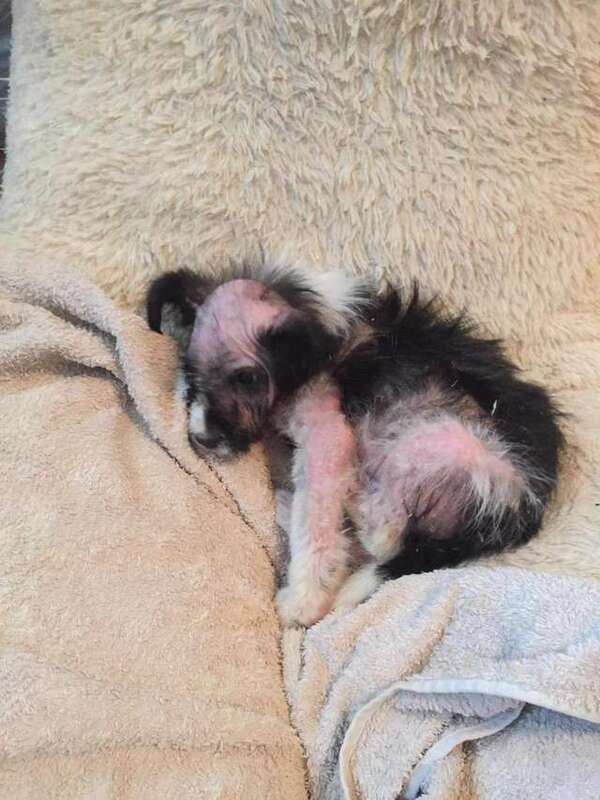 He was underweight, had mange all over his body, and also had fleas. His fur was missing in most parts of his body, so he was given special medicated baths to help. Luckily, Felix quickly began to recover and his fur even started to grow back. 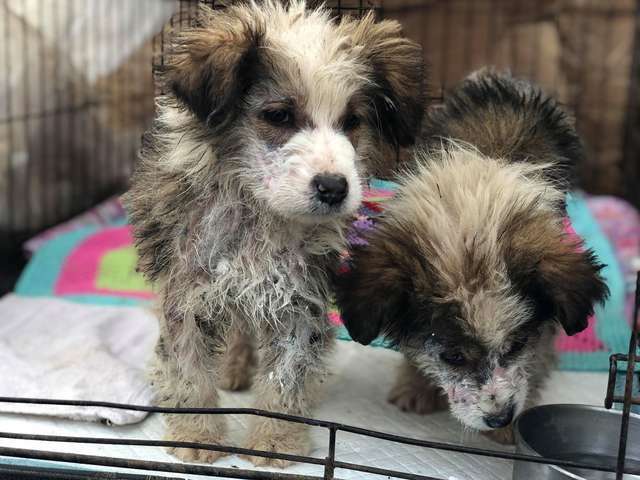 In a twist of fate, the rescue took in two other dogs that were dumped in a bag outside their facility—and it turns out they are Felix’s brothers. Thanks to the quick thinking of the little boy, the puppies are all together now and well on their way to recovery.